Recently, I created a bunch of t-shirt designs (and stickers, and tote bags, because: swag). 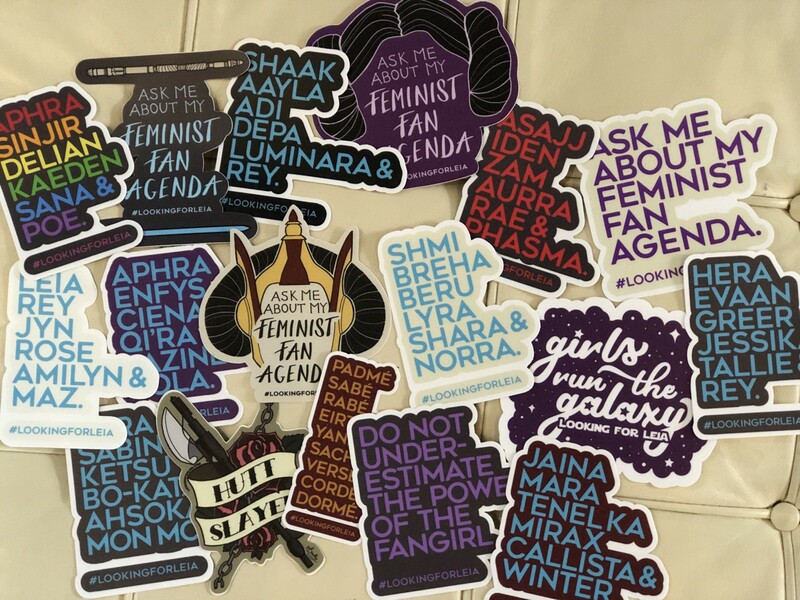 They were inspired by the 100+ women I spoke with over 14 months in production on Looking for Leia, my documentary about participatory fandom among women who love the galaxy far, far away. The design process included an impassioned and lengthy e-mail chain with the creator of 365 Star Wars Women Amy Richau (also the Looking for Leia researcher) and the head of our art department Alyssa Bradley. And there was a twitter poll in which Depa Billaba soundly beat Yaddle for gut reflex popularity, but that’s sort of an aside. documentary filmmaker / psychologist / Mother of Chihuahuas. Creator of @LookingForLeia, an upcoming documentary about women who love the galaxy far far away.